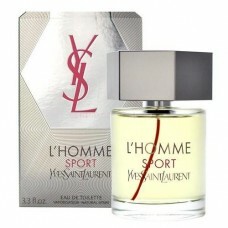 YSL L' Homme Sport presents an “unstoppable" scent, explosive energy and a story of a man who is always on the move. 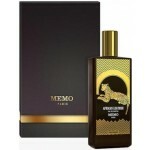 It is described as magnetic and passionate blend of fresh woods, with a wave of citrus notes at the top and a sensual trail of amber in the base, creating an echo of the original of more fresh and sparkling character. YSL L' Homme Sport comes in the same form as the predecessors, in the bottle with bright green color of liquid, which is the trend of the season and reflects optimism, positive energy and citrus waves of new editions. L'Homme Sport was launched in 2014.